The two-dimensional analogue of a point (zero dimensions), a line (one dimension) and three-dimensional space is called a plane surface. A plane curve is a curve that lies in a single plane. A plane curve may be closed or open. An open curve is a curve where the starting and ending points are different. 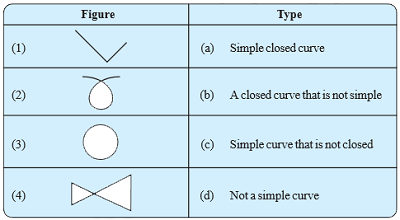 A closed curve is a curve where the starting and ending points are same or equal. A polygon is a simple closed curve made up of only line segments. A line segment connecting two non-consecutive vertices of a polygon is callled diagonals. 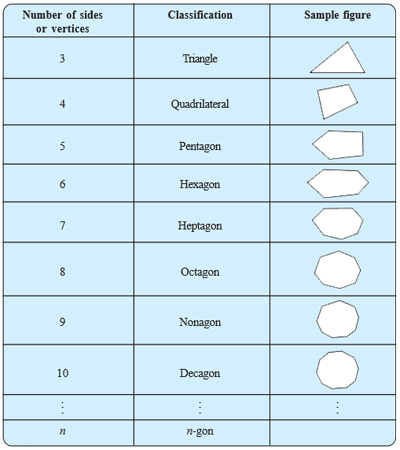 A regular polygon is both 'equiangular' and 'equilateral'. e.g., a square has sides of equal length and angles of equal measure. 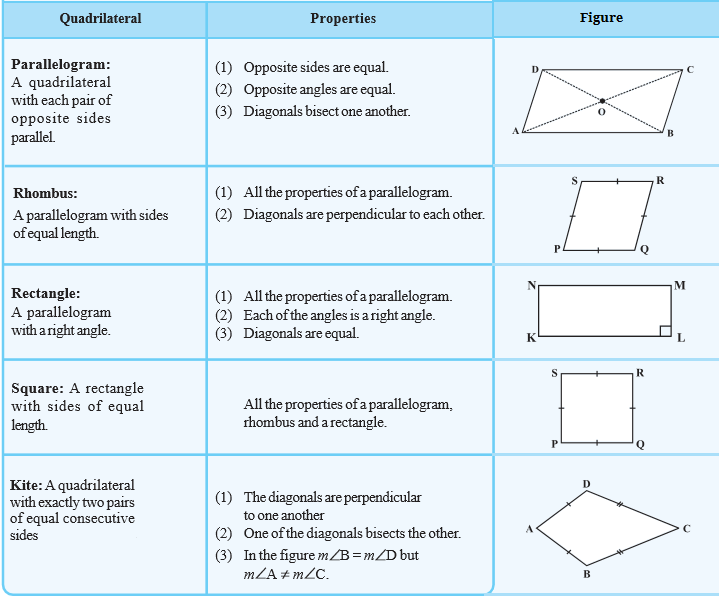 A irregular polygon is neither 'equiangular' nor 'equilateral'. e.g., a rectangle. In a triangle, sum of three angles is 180 degree and In any quadrilateral, sum of four angles is 360 degree. 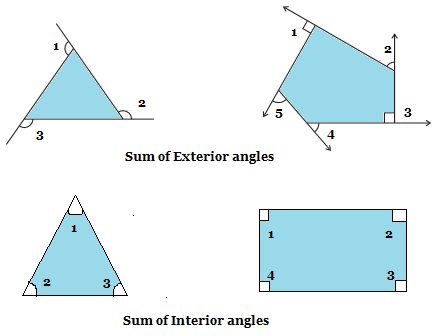 angle 1 + angle 2 + angle 3 = 180 degree, angle 1 + angle 2 + angle 3 + angle 4 = 360 degree.